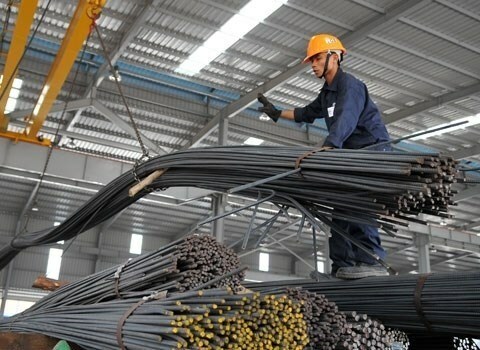 Hanoi (VNA) - Japanese steelmaker Kyoei Steel Group has announced that it would build a 200 million USD reinforcing bar factory in northern Vietnam. The plant is aimed at boosting the company’s output capacity and reducing costs. Construction is scheduled to start at the end of this year, with the rolling mill expected to begin operations in 2019 and the steelmaking plant to begin by 2020. The Osaka-based group had begun plans to build a 500,000-tonne capacity steelmaking and rolling facility back in 2012 when it started operations in Vietnam. However, the company suspended all new constructions in 2014 when the market slumped. Currently, Kyoei Steel only rolls steel in Vietnam. The company processes steel billets bought from outside into bars and other products. However, market conditions in China have led to an increase in billet prices. By setting up this steel factory, the electric furnace steelmaker hopes to cut production costs. Kyoei Steel has already invested 170 million USD in an electric furnace steel plant in the southern province of Ba Ria-Vung Tau. It is also contributing capital to Thi Vai International Port joint venture. Once completed, in March 2018, the port will help Kyoei Steel import more input material, thereby raising its production and transportation capacity to 900,000 tonnes per year.